Did you know that you can create lists in twitter to help organize your tweet stream? This is a very handy feature since it is difficult to keep track of tweets coming in as they quickly get buried underneath the growing number of new tweets. 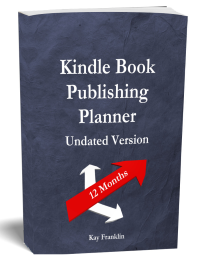 Let me take you through the process of creating your own lists. The purpose of twitter lists is to help you to organize and manage what tweets you want to read according to a category or topic you have chosen. It is not a way to send specific tweets to a select group of people but rather a way for you to read tweets from a specific group of people. You can either create your own list or if someone has already created a list that you are interested in, you can subscribe to their list! 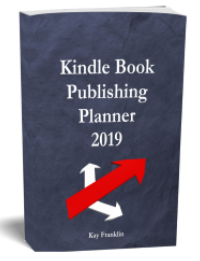 For example, suppose you wanted to read tweets specifically about kindle books and you see that someone else has already created one that does exactly that. You could create your own list from scratch or instead you can just subscribe to their list (if it is a public list). Why Would You Want To Create a List? When you follow a person on twitter they are notified that you are following them. So if you wanted to find out what your competition were doing by following them then they would know about it! However, if you created a private list that comprised of your competitors tweets – they would not know about it. There is no notification to let them know that you have added them to a list. So you would see their tweets in your list not your twitter stream, and they would not be aware that you are observing their activity. When thinking about creating your own list check to see if a similar list already exists as you might want to subscribe to that one to increase your network reach. While logged into your twitter account go to https://twitter.com/lists or click on your ‘Me’ tab along the top and then click on ‘more’ to see the tab ‘Lists’. It will show you what lists you are subscribed to or if you don’t have any lists yet. If you want to create a new list click on ‘add new list’ and fill out the details on the window that opens. – A name for the group – be careful what you call this list. If it is public then choose a name that others might search for. – A description – explain what your list is for and how it might benefit someone if they joined. If your list is private then this information will not be visible to others. Once you have completed this and saved it you will be asked who you would like to follow. Remember that in this case it is people you want to follow by adding them to your list – so they won’t get a notification that you are following them via a list when you do this. Search specific people or just a topic search and find who you would like to add to your list. 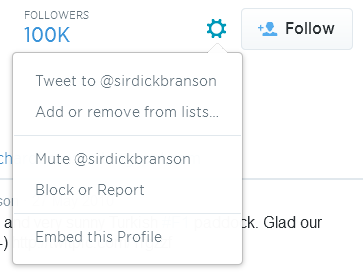 Don’t click the blue ‘follow’ tab – if you do this you will just end up following them in the usual way. Instead click on the settings icon next to the ‘follow’ tab and you will see the following window appear. Click on ‘add or remove from lists’ and then check the box next top the list you want to add them to. If you discover that someone already has a list of interest to you and there are a good number of people subscribed to it then you can add or subscribe yourself to that list. This is good for networking purposes and also for research too. – Go and look at the lists that people you already follow are on. – Check out the lists of the top expert in your niche. – Do a Google search using site:twitter.com/*/topic where ‘topic’ is a keyword of a list you’d like to find. – Use TweetDeck and search their directory for lists of interest. 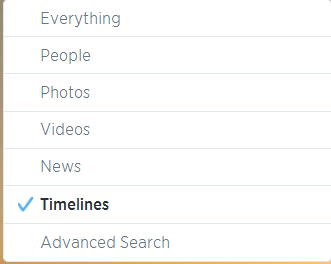 – Use twitter itself by doing a search for your particular list topic of interest and then make sure that you click on ‘timelines’ on the left hand side rather than the default of ‘everything’. You will then be able to search specifically for lists. So how do you become a member of a list? This actually happens automatically! When you create a list you go and find specific twitter users to add to that list. These people become members of that list. Therefore if you find that you are a member of a list then it means that the person who created that list has specifically found and chosen you to be a part of that list! To remove someone from your list then click on that persons photo picture (you must do this via their profile page) and use the settings tab as you did for adding new people to your list but instead remove them for a selected list. You can also delete and edit your lists by going to your list tab and clicking on the list you wish to change. Then click on edit or delete. There is the option to block specific users from being able to subscribe to your list if this is something you need to implement. To do this again you need to go to their profile page and use the settings tab to click on ‘block or report’. One other thing to know is that just as you are able to use the @username in your tweets as a mention or @reply for specific users, you can also do this with a specific list. For example, if you wanted to tweet about a list you would do so by using @[username]/[list-name] e.g. @slr436/verified-writers.